Stephen Weber is Professor of Music, Chair of the Division of Arts and Humanities and Ragan Professor of Interdisciplinary Studies at the University of Science and Arts of Oklahoma (USAO). At USAO Weber teaches studio and class piano, composition, World Thought and Culture III, Senior Seminar, Music Technology, and other classes as needed. Weber earned the B.M.E. degree from Concordia University-Chicago, the M.A. in Music (piano performance) from The State College of New Jersey, and the interdisciplinary Ph.D. in Fine Arts (composition and piano pedagogy) from Texas Tech University. His compositions have been published by Warner Brothers, Zalo Publishers, Permus Publications, H.W. Gray, Voice of the Rockies Music Publishers, and Concordia Publishing House. He recorded his Eight Etudes for Piano on the Opus One label. His Eclectic Set for Percussion Quartet is also available on that label. 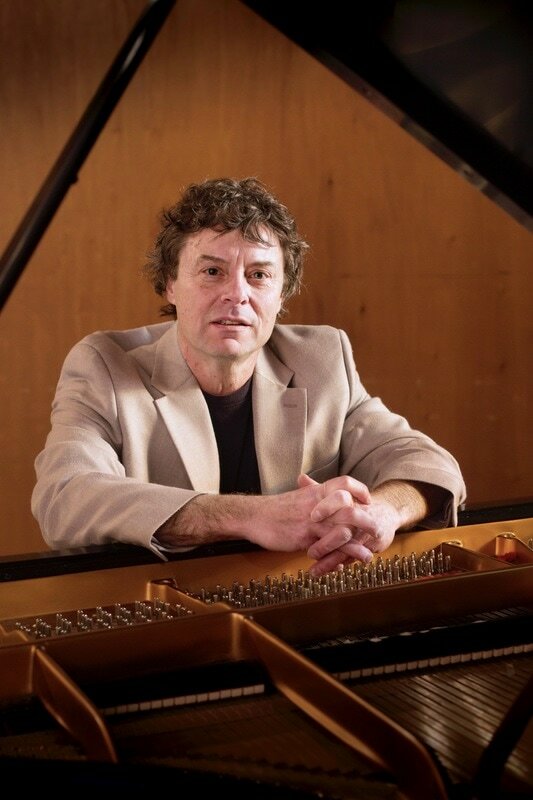 Weber was a winning composer in the National Conference on Piano Pedagogy Composition Competition in 1994. He received annual Standard Awards from the American Society of Composers, Authors, and Publishers from 1994 through 2007. Weber is also a contributor to the Organ Prelude Library, published by Concordia Publishing House. He has presented research at conferences, performed, or had his works performed in various locales in the United States as well as Greece, Switzerland, Hungary, Poland, Italy, and Japan. Outlets for his research or creative work have included the Athens Institute for Education and Research, The College Music Society, The Association for Interdisciplinary Studies, Budapest Theological University, The National Association of Teachers of Singing, The International Conference on the Arts and Humanities, The International Clarinet Association, The International Academic Forum, and the Asian Conference on the Arts and Humanities.. He has served as a reviewer for The American Music Teacher and has had articles published in CrossTimbers, Piano Pedagogy Forum, and The Lutheran Forum, for which he serves as Hymn Editor from 2014 through 2016. On three occasions Weber was selected as recipient of the USAO Board of Regents Scholarly Activity Award; on one occasion he was recipient of the campus-wide Superior Teaching Award. Weber was selected as recipient of the "2003 Oklahoma Musician of the Year" by the Oklahoma Federation of Music Clubs. He was recently recognized as a finalist for the 2014, 2017, 2018, and 2019 Oklahoma Medal for Excellence in Teaching and Administration by the Oklahoma Foundation for Excellence. In February he was awarded a DaVinci Fellow Award for an innovative approach to teaching that will be implemented in a local public school.